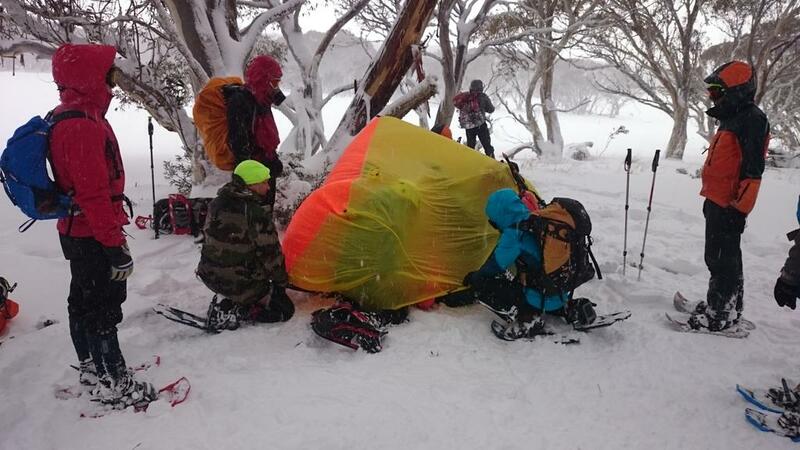 A Steep Snow and Ice training weekend at JB Plain on 24 – 26 July 2015. Exercises over the two days included self-arresting, setting up snow belays and a z-pulley haul using an MPD (which replaces a Jumar, pulley and abseil device used in the previous setup), rescues using avalanche transceivers and probing followed by digging out a simulated buried patient. A simulated search was also conducted near JB Plain. The simulated lost person was found and evacuated using a sked to haul them back to the camping site. The weather was poor, snowing at times with occasional strong wind gusts.